An image of William Wordsworth’s house in the isolated hills of the English Lake District. Wordsworth, one of the first Romantic writers, personifies the idea of the isolated, romantic writer, alone in nature with his thoughts. This represents only one way of getting one’s writing done, yet it is the dominant trope of what it means to be a writer, even today. I’ve been off the grid for quite awhile because I was taking courses from a school in England. Unfortunately, England and I have very different ideas, beliefs and values about writing, and because my beliefs are set in cement, England and I are parting ways. I had forgotten that England is the purveyor, par excellence, of doing things the way one’s granny did back in the day. Yet the rest of the world has, to a large extent, moved on, and no longer practices, for example, the limitations of Current-Traditional pedagogy’s valuing of product over process, ‘perfect’, error-free copy over depth or meaning of content. To be more precise, of course there are those who hang on to certain facets of Current-Traditional pedagogy, but there are options nowadays, even if not everyone knows they exist or has learned to value writing process theory. Just last week, in merry Olde England, I was dragged into an argument by an unwitting proponent of Current-Traditional theory. Although she didn’t know any of these terms, there she was, espousing the rationale of the Dark Side I’d learned to (mostly) discount a long time ago. Suddenly I found myself inarticulate, unable to adequately explain certain rather simple and otherwise easily explained facts I’ve learned through the years about writing and writers. The irony for me was that virtually everything I take completely for granted as obviously True and Good and Right was being challenged, and because I take the underlying beliefs for granted, adequate responses did not come easily. Plus I was taken aback at how vehemently my opponent fought her corner; rarely have I ever dealt with someone so little prepared to listen, who was, at the same time, so ill-informed on this particular subject and also so angry and defensive. Typically, when engaged in this kind of emotionally-laden contretemps, the subject is politics, not writing. To me, writing is not a subject to have an impassioned fight about, it’s something to help other people with, and to enjoy in my off-hours, when I’m wrestling with the Greeks and their murderous ways. I also need to add that this ‘argument’ was not a true argument in the sense that I normally use the word; it was not well-reasoned, with assertions building on each other and proofs offered to defend one’s assertions. It was an argument in the sense that we were mad at each other, and I was particularly angry because I felt rather hopeless in the face of so much old-think. Let me explain what I mean by ‘old-think’. Back in the days of yore, about 50 years ago or more, when there was no such thing as “process” writing theory, Great Authors were emulated and extolled as virtuous and worthy of highest regard, and no new thinking had emerged for a Very Long Time about how to write, or about what it means to be a writer (let alone who gets to think of themselves as writers). The norm was that people engaging in the task of writing worked on their own; there was no collaboration or discussion or sharing of writing. The expectation was that if you shared your writing, you would either plagiarize, or you wouldn’t have your own ‘original’ thoughts, and so, to privilege originality, collaboration of any kind was discouraged. This included talking with one’s teacher, which was also discouraged except to ask questions about the subject, but never about how to write about the subject. You were expected to understand the form the writing would take because you’d read essays and such, but there was little-to-no discussion about how one constructed a piece of writing, what has come to be considered the architecture of writing (a term I really should, now that I have raised it, explain further in a future blog post). And, god help you, no one ever shared their writing during the process itself; to do so was tantamount to handing your ideas away. What the other person was going to do with your ideas, I’ve never been able to figure out, but you were not supposed to show anyone your writing, ever. Since I was raised with this model (educated originally by the British in international schools) I remember it well. Thomas Chatterton, a rather infamous writer, whose tragic life inspired romantic poets for awhile. I worry that aspiring writers worry that this is what will happen to them if they pursue their writing, but this kid had problems larger than life as a writer could address. “Originality”, genius, and the idea that only “true” writers can produce a worthwhile product (perfect copy, no errors!) were all privileged over the concept that “real” writing can and does coexist with error, revision, discussion, and inspiration from outside the self (as can happen when you emerge from your garret to talk to others). In other words, writing had long been romanticized as a solitary activity best left to “real” writers—those who sought and found inspiration only from their ‘Muse,’ never made a mistake, never revised, and certainly never needed help. If you cannot sense elitism at work here, I can, and for me, that attitude doesn’t fly, Orville. Yet elitism is at the heart of why this woman’s response was so strong and so defensive. Once you remove elitism from writing and turn it into something people can do if they know how, you’ve also removed the cachet of specialness about being one of the few writers who “attain” publication, since not everyone is “good enough” to get published—or so goes the prejudice about writing and writers. When the rules about writing are held in secret—when the act takes place behind closed doors, where no one can see you perform the mysteries—the elitist rules of who is, and is not, allowed to be considered a ‘good’ writer are more easily maintained. Traditional educational systems excel at perpetuating and maintaining ritualized rules, based on outdated ideas and practices. Although initially the rules might not have been intended to intimidate, that’s the effect they have, since the fact of their existence convinces many people that they shouldn’t even try to attain the ‘status’ of those who comprehend—and maintain the rules of—the ‘mysteries’. Therefore, these rules are about power, and maintaining ascendency over ‘lesser’ people, which I object to as inherently wrong and undemocratic. This is the point at which I become vituperative and bitter, though, so I will move on, since the elitist, isolationist view of the writer is primarily a construction of Modernist and Romanticist devising, and has claimed its share of believers. Sadly, people like Ernest Hemingway, in my opinion, were victims of this ideology’s pernicious untruths about what it means to be a writer. 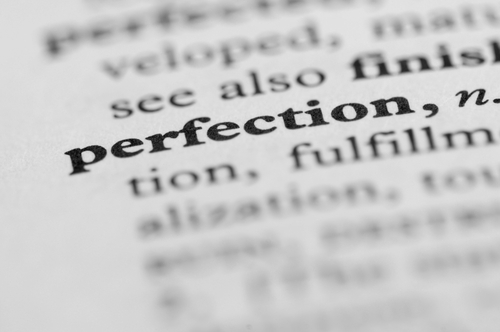 I don’t know if Current-Traditionalism and its proponents know this, but an unstated rule underlying their pedagogy declares that above all, seek perfection in your writing. The outrageous suggestion I’d proposed, provoking this umbrage, occurred when I said that it would be nice if students (meaning the two of us, for example) could share our writing with each other, so that we could see what other people were doing, and at the very least, get a sense of the style and format the essay should be in to get a good grade. In my world, this statement is akin to asking if you remembered to buy milk. For her, asking to actually see her writing-in-process was like telling her her first-born child had just exploded. She went as near-ballistic as I have seen someone who is not a) American in an election year or b) forced to listen to Rush Limbaugh at any time. The amount of defensiveness was rather extraordinary. “Of COURSE you cannot see my writing!” she yelled. It turned out her writing was about to be published. “You can see it when it’s published,” she declared. Her voice was wonderful, by the way; she had a rich, strong voice, quite beautiful to listen to, with a cultured British accent. Unfortunately, the words coming out of her mouth were making my face go numb, and it was hard to think clearly. So then she said the most interesting, and also disturbing, thing. When I tried to explain that seeing a piece of published writing rather defeats the purpose for the student-writer, who is still struggling with subject matter and writing format, not to mention teacher expectations, and therefore sees the published piece as the work of an experienced professional, not to mention a professional writer, my interlocutor declared that she was not a writer. The backward White Queen, for whom life is lived in reverse, tells Alice to believe six impossible things before breakfast, an idea Alice is wise to spurn. Now, this was pretty much the point where my head started spinning, like in the Exorcist, because when you tell me a piece you’ve written is about to be published, but then you tell me you’re not a writer, I can’t make both those statements compute. I did have a fleeting thought that as in Alice through the Looking Glass, I was now expected to believe six impossible things before breakfast, but it was 9 p.m. and I was thinking about getting some dinner, which this woman and her oddly impassioned and defensive response had interrupted. It turns out that she equates creative writing with being a writer (this is a core belief for many people, I’ve found). I forget exactly what labyrinthine turn the conversation took to uncover this connection in her mind, but if you’re not a creative writer, apparently, you’re not a writer. I responded that there are all kinds of writing, and in each case, whether you’re a technical writer, or you’re a reporter, or are writing an essay that’s just about to be published, you’re a writer. Ultimately, the interesting thing from my perspective is how this one woman encapsulated so many misunderstandings and antiquated beliefs about writing. These misunderstandings persist even though writing theory has moved on. Even so, it’s clear that not everyone’s thinking has kept up with the changes. The damage that can be done to the psyche of a student who has to contend with the negatives of Current-Traditional theory, however, with its perfectionism and error-free product, discouraging of revision, and power imbalance of teacher expectations and assessment privileged over student learning, is my biggest concern, and one of the reasons I wish I’d been more articulate in this situation. The key problem for students—a problem which, unaddressed, leads to writing apprehension for too many—comes when the student needs specific help with style, form, or any writing-related issue, but when they seek help, they find that these kinds of concerns are ones that teachers do not willingly address. This is so largely because the teacher takes for granted that the student should “just know” how to write, since they’ve read the same type of (published) essay over and over. Importantly, too, the teacher doesn’t get where s/he is as an educator if s/he can’t write, and therefore is usually blind to the gravity of the problems students present. This usually means the structure of the writing, as a learning tool, is never questioned by the teacher, but the student is left baffled by the teacher’s expectations, since the student is never allowed to see another student’s work, and cannot write like a professional (published) writer. Where is the model s/he needs to see to understand the work expected of her or him? It doesn’t exist in the Current-Traditional model, and that’s why students in this system fail or grow discouraged and accept lower grades than they deserve. Students are caught between a rock and a hard place, for they know that teachers have expectations about writing that are not always adequately articulated. Then the teacher has the job—and the temerity—to judge the student’s writing ability, when the student never adequately understood the rhetorical situation in the first place. This is how otherwise good students are left behind, and are too often left with persistent writing apprehension. Welcome to online courses available only to members of The Collaborative Writer! For information on how to become a member, please contact me at collaborativewriter@gmail.com or visit The Collaborative Writer. Course details are available on the new Collaborative Writer Online Courses site. I’m extremely pleased to offer these classes to you, which you can take at your own pace. There’s no rush to finish; the goal is to learn more about yourself while your creativity and self-expression is encouraged. Courses are available only to members, who will require a password to log-in. Please contact me to become a member, and to receive your password. Participants of classes should send their responses, answers and questions to me via email, which is collaborativewriter@gmail.com. Course members can communicate with each other via the comments feature on each page. All participants are listed on left sidebar, so you will know who is here. Learning is ongoing, and there will be multiple classes you can enroll in. Courses will be added to over time; contact me if you have any questions or need a specific type of class or one-on-one tutoring. 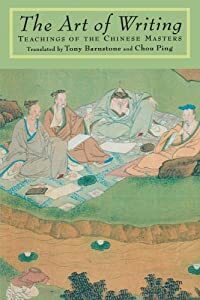 I used The Art of Writing: Teachings of the Chinese Masters while writing my dissertation about why people feel uncomfortable thinking of themselves as writers. My thesis is that writers are taught by society to think of themselves as writers (or not), and that society’s definitions of what a writer is or is not are constructed by our collective values. 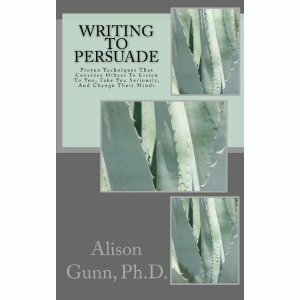 Western writers can access this book most easily through terminology used in the poems, which refer to writer’s block, revision, inspiration, and other subjects of concern to all writers everywhere. 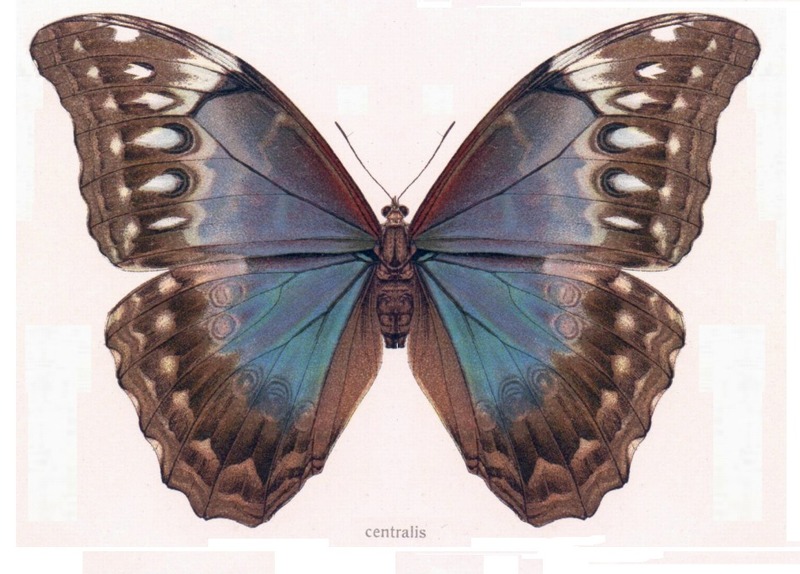 Rather than be told what to think, though, each of the inspirational poems illustrate the principle of the writer’s concern, a Taoist approach to writing. and turns like a pearl marble. and these are clumsy metaphors. and the universe rolls slowly around its hub. you’ll find a corresponding motion. Climb high into spiritual light. Then dive deep into dark nothing. are caught up in the flow. This is the essence of poetry, isn’t it? To reify itself within the lines of the poem? Think of Chinese poetry almost like a calligram, and I think you’ll start to realise why this slim volume is so effective. The section called “Jade Splinters” is truly where a new paradigm about writing began for me. The Chinese compared writing to “jade splinters,” meaning that their writings were attempts, only “splinters” left as they carved a gem. Don’t you prefer a metaphor that envisions writing as a process of carving a gemstone, rather than the metaphor of writing as a struggle (the metaphor we’ve learned from the Greeks)? I know I do. Creativity is a huge subject for me; I think about how to inspire it in writers a lot of the time. One of my ‘rules’ about inspiring writers is to encourage them and provide open doors, rather than closing doors by telling them what they cannot do, or criticising them. I am rather adamantly against criticism for the sake of critcising. I can understand wanting to make something you’ve done better, but if all you’re really doing is telling someone they’re deficient according to your idea of perfection, could you keep that to yourself, please? Because all we do when we criticise someone is let them know about ourselves and our needs, rather than help them. This includes yourself. Let yourself off that hook, okay? I’ve worked with far too many aspiring writers who tell me some version of, “When I was a child, my teacher/parent/friend told me it would be pointless to continue writing, that I didn’t have what it takes,” etc., largely because the person doing the criticising of your early efforts was caught up in the ancient paradigm of what I have learned to call the Divinely Inspired Author myth. The individual who wants to write is too often challenged in this way, and therefore might never pick up her pen again, only to regret this choice later in life. Believing it to now be “too late,” she will give up on her dream of writing “someday.” If there’s something I don’t want to see people doing, it’s giving up on their dreams because one time when you were twelve, your English teacher gave you a ‘C’ on a paper you thought was pretty great—until you got that ‘C’, of course. Many years ago, I worked with one man in his 70s who never forgot the ‘C’ he received in high school; that’s how powerful authority figures are in our young lives. I’d like for you to watch the following video, because Sir Kenneth Robinson, an English creativity expert, discusses the ways in which education discourages children from holding on to their creativity. Why don’t we get the best out of people? Sir Ken Robinson argues that it’s because we’ve been educated to become good workers, rather than creative thinkers. Students with restless minds and bodies—far from being cultivated for their energy and curiosity—are ignored or even stigmatized, with terrible consequences. “We are educating people out of their creativity,” Robinson says. This loss of one’s belief in their own creative ability is my primary concern as a writing coach, because my focus is on how to get adults to reconnect with the creativity they were once forced to abandon in favor of scholastic achievement. In this talk, Sir Ken discusses the needed revolution in education; his perspective is that it’s time to reform educational practices so that people will learn to be themselves and do what they love, not what’s practical. We have to change our industrial model to an agricultural model, he says, and change the metaphor we use to create our concept of why we need an education from mechanistic, based on the needs of a bureaucratic society, to organic, based on the needs of the individual. He thinks we’re obsessed with getting people to go to college, as though going to college now is the answer to everything, which isn’t true. I learned as an educational consultant and teacher that students too often attend college or university for someone else (usually their parents), and that it wasn’t the right choice for them. Sir Ken agrees that college isn’t necessarily the best choice for everyone, and it isn’t something everyone has to do at any one given time (e.g. the moment you leave high school or secondary school, for those readers not in the States).